G’day, ladies! 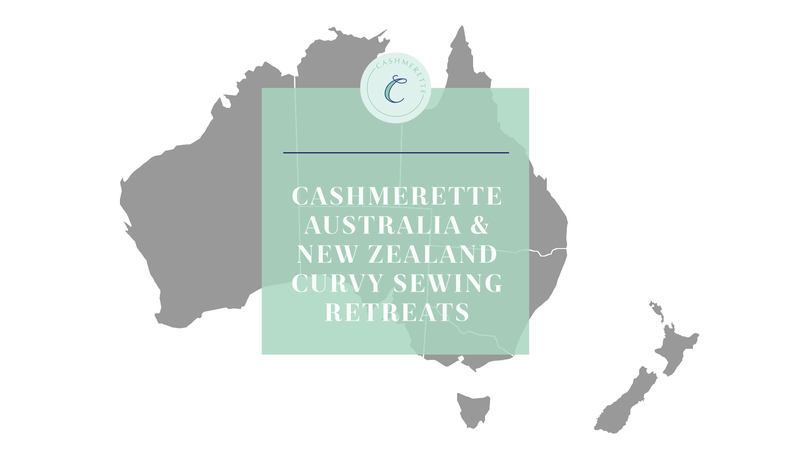 I’m thrilled to announce the launch today of my Cashmerette Curvy Sewing Retreats in Australia and New Zealand in February 2018. We are indeed launching a long time in advance, but it’ll give us time to get prepared, and, basically, we’re too excited to wait! Update 13 Nov: unfortunately due to low enrollment in New Zealand, we were unable to run a class there. However, we have added a second class in Sydney for anyone who missed out on our Australian classes the first time around! Sign up here. There will be three retreats, two in Sydney and one in Melbourne. There are a very limited number of places available, so if you’re interested, we definitely suggest you sign up as soon as possible. We are going to have waitlists for those who don’t sign up in time, but please note we can’t guarantee you’ll get a place if you’re on the waitlist. All of the retreats will be two days of fun, sewing and fitting, with me, and my ever-capable assistant Carrie. Based on our first retreat in Cambridge, USA, I’m sure we will all have a ball! 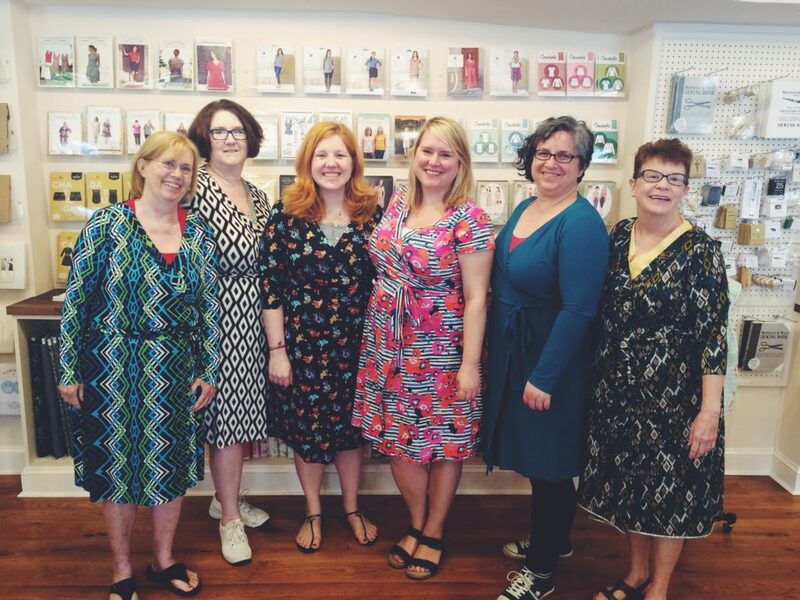 For all the retreats, you should fit into the existing Cashmerette Patterns size range (size 12 – 28 and cup sizes C – H), and we won’t be able to grade patterns up or down for you. Not sure if you fit? Check out our sizing chart. Please also read our retreat policies before signing up. 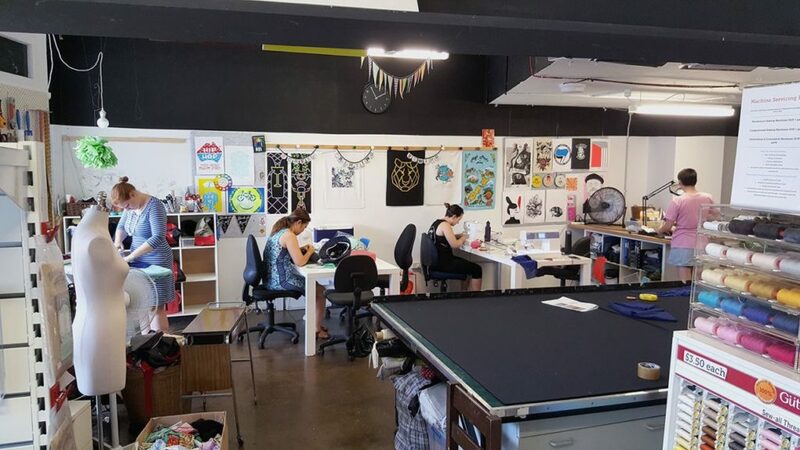 We will be hosted at Bobbin & Ink, located at 412 Parramatta Rd, Petersham. The focus of this weekend will be on fitting sewing patterns to your figure. 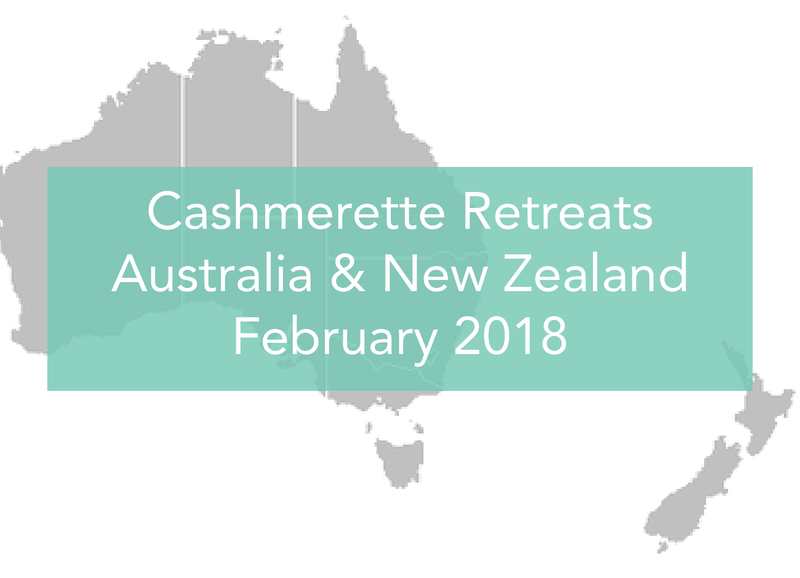 Pick any Cashmerette Pattern to make – you’ll get a free pattern included in the retreat price – and I’ll help you make your garment with construction tips and fitting advice. I’ll also do demonstrations of common fitting adjustments during the weekend – and am happy to take requests! 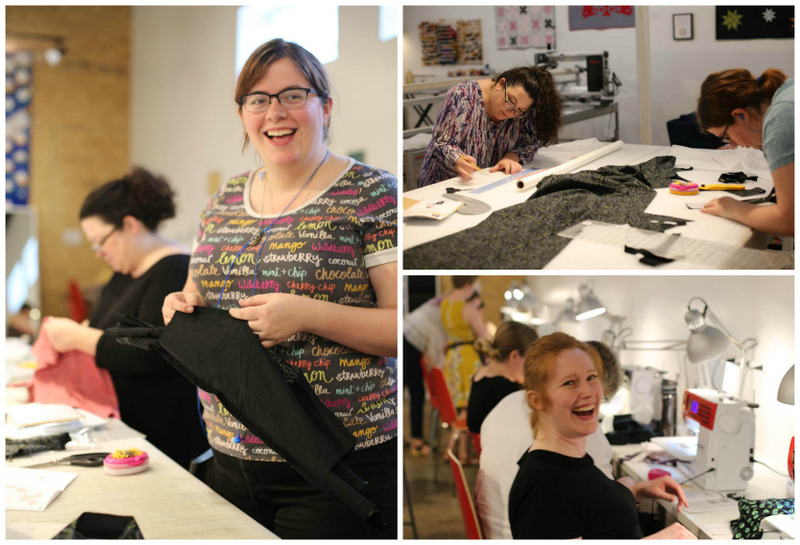 The retreat includes the use of sewing machines, sergers and all your tools, provided by our hosts, Bobbin & Ink. We’ll send you a list of supplies to bring with you before the retreat. This retreat is suitable for all levels of sewist – and it’s ok if you’ve sewn other things but not garments before, or if you’d like to try to sewing a new garment or new fabric type. Saturday 10th and Sunday 11th February 2018, from 10 – 5pm. We will be hosted at the church hall at St. Georges Anglican Church, 296 Glenferrie Rd, Malvern. The focus of this weekend will also be on fitting sewing patterns to your figure. 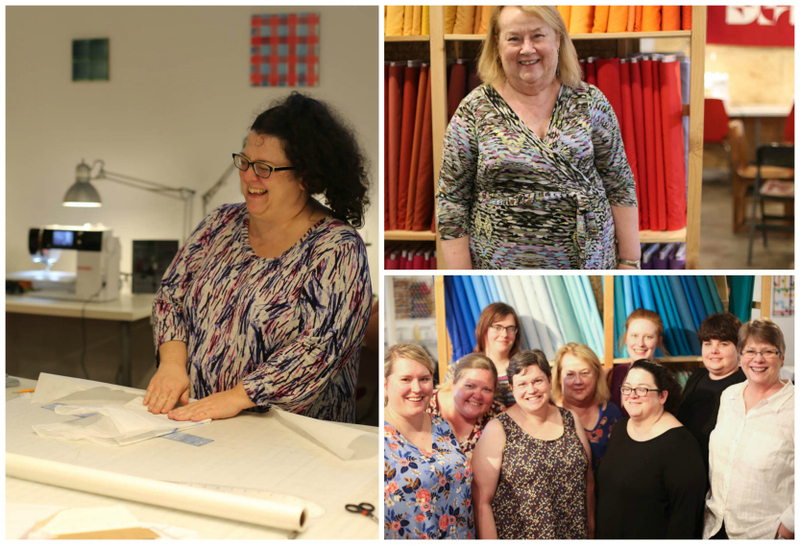 Pick any Cashmerette Pattern to make – you’ll get a free pattern included in the retreat price – and I’ll help you make your garment with construction tips and fitting advice. I’ll also do demonstrations of common fitting adjustments during the weekend – and am happy to take requests! As we are going to be hosted in a church hall rather than a sewing studio, you will need to bring your sewing machine and tools with you, for your personal use. We’ll also be emailing the group to co-ordinate irons and ironing boards. The church hall will be equipped with a large table for each participant. It’s no exaggeration to say that Carrie and I are bouncing with excitement about the trip and meeting you all! 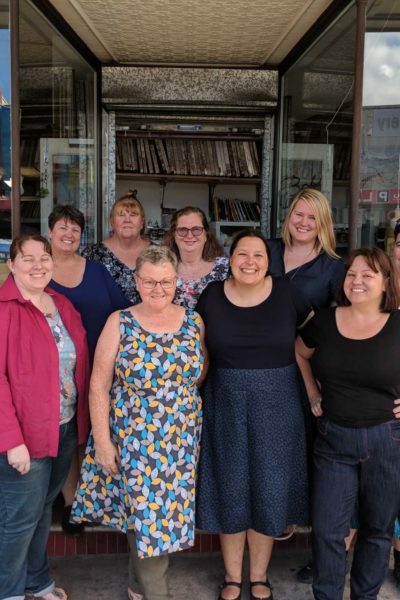 We also plan on having a few meet and greet/fabric shopping events while we are over – watch this space for more information closer to the time. So excited for you guys coming to Australia during our summer! You’ll love it! As I explained over on the Facebook page, I’m limited in signing up by the non-transferable policy (as my husband is not well and I don’t want to lose my money if I can’t transfer my place to someone else who wants to go, should he need treatment). However now I’m a bit confused with this post in that you have a wait list for the retreats – how does that work if my reserved place is non-transferable and non-refundable? I’m very keen to attend but I’m a bit confused about the policies. If you’re not sure you’ll be able to make it, I’d agree that it doesn’t make sense to book. I hope your husband is ok! The waitlist is in case we have additional capacity at our studios, which is possible but not definite at this stage. Thanks for clearing up the confusion Jenny! I’m 95% sure I’d be fine to attend, but Murphy’s Law has hit me hard in the last few years since he became unwell and it just causes a lot of stress in the lead up (can I? Can’t I?). I’m also a three hour drive from Sydney so I can’t just pop home if he needs me. No matter! I shall live vicariously through the others attending because I’m sure it will be wonderful! Hopefully I’ll be able to drive up for the day if you have a get together. Yes, that would be great! Would be super to meet you. Will there be another retreat in the Boston area in 2018? Not sure at this point – if we do do it, it would be in the second half of the year. If you do, there are already two curvy gals in Philly (myself and best friend) who are VERY interested! And a third, unrelated Philly gal would come, too! This is so exciting. I hope it goes well and you’ll come back down under (possibly coming to Queensland too!). I just wanted to say how fantastic I think it is that you’ve planned these for weekends. Sometimes people come down here and their classes and workshops always seem to be midweek so they can fit as many places in a shorter time frame. So thanks for that and best of luck with the workshops! Is there a place on your site listing USA retreats? West Coast? Right now, there are no USA retreats planned. I saw in Sew News that a retreat will be held in Cambridge, MA in spring 2018–do you have any dates yet. Hi Katherine – no we don’t have dates as yet, but if you subscribe to our newsletter you’ll be the first to know. Thanks! I listened to your interview on the love to sew podcast today and was excited to hear you where coming to NZ, only to be really dissappointed when I checked in on your blog. So sorry we weren’t able to make up the numbers for you to visit NZ. Now I’m trying to figure out how I can justify a flight to Sydney to attend your second workshop there. Here’s hoping …. if not it may be a couple of online classes. I haven’t yet tried your patterns but am very motivated to download a couple! Thank you for all you do to make curvy a normal and acceptable body type.